The Host Group is THE BEST! Dee provided an amazing and focused education of the Massachusetts and general real estate licensing practices. He fully prepared me for the exam, leaving me confident walking into it. He teaches with enthusiasm and sincerity. I took the video series class, and I really enjoyed it. I would recommend anyone and everyone that I meet to take the licensing course with Dee! If there were six stars here, he would get it! I took the 40 hour pre-licensing course with Host Group for the MA RE Salesperson exam over two weekends in September, then sat for the exam today, 2.5 weeks after completion of the course. Piece of cake! Dee is an outstanding instructor and it's obvious right away. It's a LOT of work, but if you pay attention in class, take lots of notes and highlight everything he tells you to, then review those notes and take the online practice tests -- you will be prepared for the exam. Worth every penny! Dee is a very articulate instructor whose knowledge is beyond the requirement of teaching a real estate pre-licensing class. His lectures are very easy to follow, and he is very patient and encourages students to ask any questions they have. His experience in the real estate business also serves the class well --- the class has successfully combined academy and practice. For people who want to work in real estate, this class is not only a prep for tests but also a pre-training for the career. As a person who is highly selective on instructors, I recommend this Academy and the instructor. 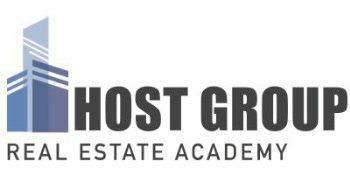 Host Group Real Estate Academy is the first place I would recommend to anyone who is interested in learning about the real estate market/profession. The knowledge that Dee has earned over the course of his career is invaluable and the examples he gives relating to the course topics are based on real life experiences that make the learning process that much more interesting. The resources available to all of his students as well as his willingness to guide anyone who asks for his help is reason enough to check out Host Group before anywhere else. Dee is a true professional! I chose Host Group to take my broker licence course because the total cost was relatively cheaper than other schools and location was convenient for me. Online video course I took was very helpful for me because I had full time job and needed flexible class schedule on weekends. The teacher Dee was nice guy and pay much attention to students. He gave me additional personal advice even after I completed classes. I recommend this school, thank you Dee!.